​​Nick Foles is about to make some big money in ​Jacksonville. The veteran quarterback agreed to ​​sign with the Jaguars​, ending the worst-kept secret in the NFL, and the contract details have finally been revealed. It's a ​huge deal for Foles, as he steps in to become the Jags' next starting quarterback. Foles is going to Jacksonville on a four-year, $88 million, an average of $22 million per season. Nick Foles is getting a 4-year, $88M deal from the #Jaguars, per @MikeGarafolo. 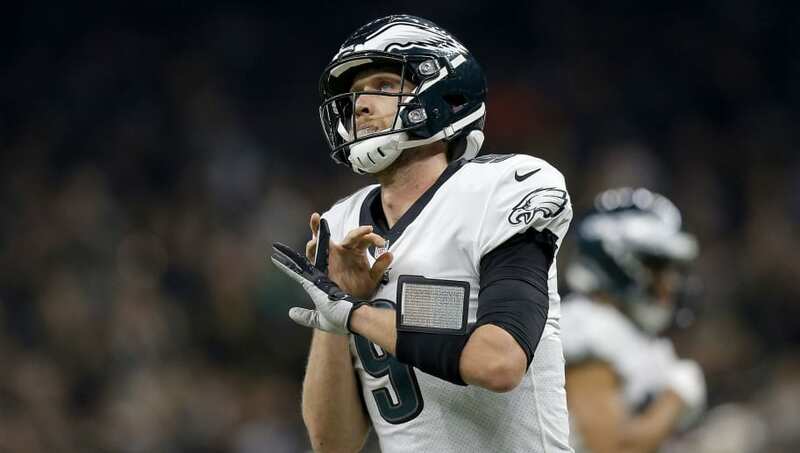 Foles was expecting a lucrative contract in free agency, and he got exactly what he was after. The 2017 Super Bowl MVP's work as ​Philadelphia's backup clearly paid off for him, as the 30-year-old will be under contract with the Jags until the end of the 2022 season, just a few years after he contemplated retirement. There is a huge amount of guaranteed money in the deal, as Foles will be pocketing $50.125 million as part of his new contract. The Jaguars are all-in on Foles and they better hope it pays off, as the team was incredibly disappointing in 2018, just one season removed from an AFC Championship appearance. After moving on from ​Blake Bortles, the Jaguars need Foles to pay dividends on the huge deal they handed him. Let's see if he can recreate some of the magic he made in Philadelphia with his new team.